Speak to an agent directly to inquire about any of these plans. Independence Blue Cross (also known by its acronym (IBC)) is a health insurance carrier based in Philadelphia, Pennsylvania. IBC is currently the largest health insurer in the Philadelphia area, with a client base of more than two million people in the five-county area (Philadelphia, Bucks, Montgomery, Delaware, and Chester). Independence Blue Cross has more than 7,000 employees. IBC offers an extensive line of health care products such as group medical plans, individual health plans, indemnity insurance, also offering Medicare and Medicaid recipients with managed care health plans such as HMO’s and PPO’s. The carrier boasts a network of health care providers and includes nearly 160 area hospitals and more than 42,000 physicians and other healthcare professionals. IBC is an independent licensee under the umbrella of the Blue Cross and Blue Shield Association. Independence Blue Cross was founded in 1938 as the Associated Hospital Service of Philadelphia and offered the first prepaid hospitalization plan in the region. 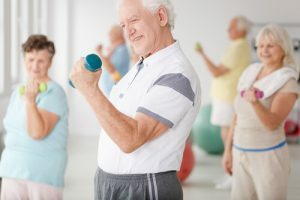 Unlike traditional Medicare, Advantage plans sold by IBC are managed healthcare plans most commonly known as Health Maintenance Organizations (HMO) and Preferred Provider Organizations (PPO). For example, if you choose a Medicare Advantage plan over traditional Medicare, the Advantage Plan becomes your Primary insurance carrier. The Part B premium you pay will still go to Medicare, but Medicare, in turn, subsidizes your Advantage carrier. An HMO plan is a type of health insurance plan that sometimes limits coverage to care from doctors who work for or contract with the specific HMO. It generally won’t cover out-of-network care except in an emergency. An HMO may require you to work or live in its service area to be eligible for coverage. In the case of an IBC HMO, you must live in the five-county area (Philadelphia, Bucks, Montgomery, Delaware, and Chester counties). Most HMO and PPO plans have their prescription coverage built into the plan. Besides paying a monthly premium, and HMO will also require you to share in the healthcare costs such as copays and deductibles. Copays are usually charged when seeing a doctor, specialist, inpatient hospital care, etc. HMO’s also usually require you to have a referral from your primary care doctor to visit a specialist. 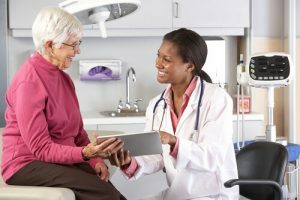 A PPO plan is a type of health plan that contracts with medical providers, such as hospitals and doctors, to create a network of participating providers. You pay less if you use providers that belong to the plan’s network. You can also see out of network doctors covered by Medicare. Just like having an HMO, a PPO requires you to pay a monthly premium and share in the healthcare costs such as copays and deductibles. Unlike and HMO, a PPO does not require you to need a referral when seeing a specialist. Examples of copays for any HMO or PPO plan could be $15 to $25 to see a primary care doctor. A $35 to $50 copay to visit a specialist. Other various copays could be if you visit a podiatrist, chiropractor, need an outpatient procedure or need inpatient hospital care. Various HMO and PPO plans sold by different carriers charge different copays and deductibles. Some prescription coverages may have a deductible before the carrier shares in the drug costs. Independence Blue Cross HMO plans are sold under the heading known as Keystone 65. Counties Philadelphia, Bucks, Montgomery, Delaware, and Chester offer three different HMO plans under Keystone 65. The Keystone 65 Basic Rx HMO is IBC’s newest plan and has the least expensive monthly premium while offering prescription coverage. One distinctive difference is that the Basic plan has a medical deductible. The plan also allows you to add the “Choice Program” as an added benefit. The Choice Program is preventative dental, vision, and hearing. This basic plan boasts a network of 87,000 physicians and 100 hospitals in the five-county area. An added benefit called “Silver Sneakers” is a program that will pay for your gym membership if the desired gym participates in the program. Copays you could incur under the Basic plan could be for a primary care physician, outpatient procedure, x-rays, etc. The Keystone 65 Focus Rx HMO is the 2nd plan IBC offers to Medicare recipients in Philadelphia, Bucks, Montgomery, Delaware, and Chester counties. Unlike the Basic plan, the Focus plan does not charge a medical deductible. The Choice Program is also an option if you purchase the Focus HMO plan. Like the Basic plan, you also have the Silver Sneakers benefit built into the plan. The Focus HMO plan has a network of about 59,000 physicians and 20 hospitals. Copays you could incur under the Focus plan are primary care doctors, inpatient hospital care, Part B drugs administered by physicians, etc. The Keystone 65 Select HMO plan also includes prescription drug coverage, Choice Program, Silver Sneakers with no medical deductible. The Select plan has over 87,000 physicians and 100 hospitals in its network. Unlike the Basic and Focus plans, the Select plan does not have a deductible for its prescriptions. The other option you have a with the Select plan is that you can get “medical only” without added prescription drug coverage. Copays that you may be required to pay under the Basic plan could be chiropractor services, MRI’s, emergency room visits, etc. The Personal Choice 65 PPO plan also covers Silver Sneakers but does not have the option of adding the Choice Program. Unlike the Keystone 65, HMO plans the Personal Choice plan does not require you to need a referral when needing to see a specialist. With the PPO 65 plan, you also have the option of seeing out of network physicians. The Medical Only option is only available in Philadelphia and Bucks counties. Copays that you may need to pay are for routine podiatry services, urgent care, diagnostic tests, and procedures, etc. 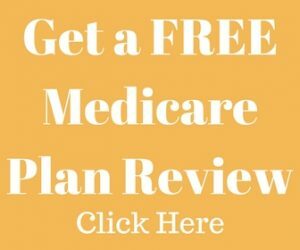 Besides your Initial Enrollment Period (IEP), all Medicare recipients can inquire about, and change their Advantage plans during the Annual Enrollment Period (AEP) which runs from October 15th to December 7th every year. You are also allowed to choose new coverage if you move out of your current plan’s service area or lose your credible coverage involuntarily and is called a Special Election Period (SEP).